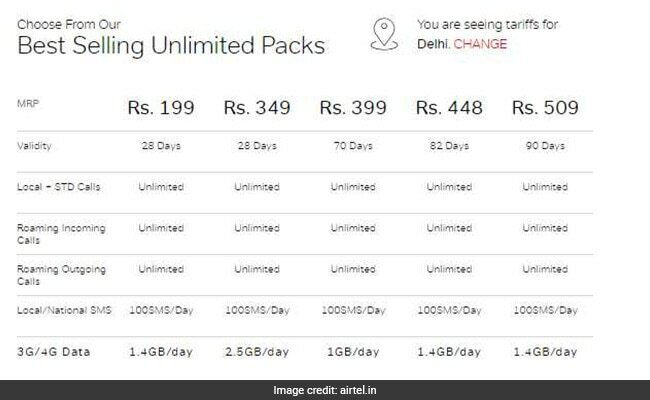 Here are the prepaid recharge offers of Jio, Airtel and Vodafone with 1.4/1.5GB data per day. 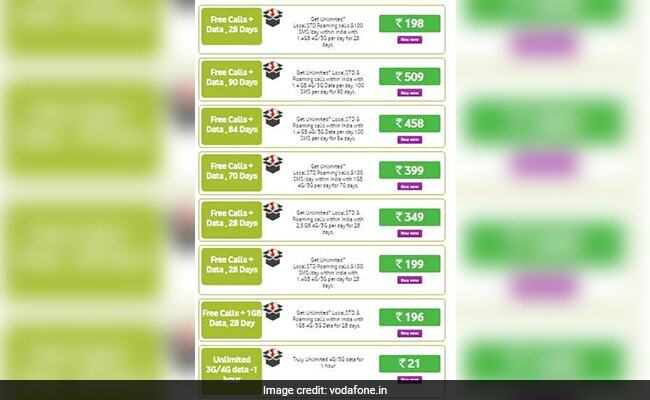 Prepaid offers: Airtel and Vodafone have revamped their plans to offer data at competitive prices. Reliance Jio has been aggressively revamping its prepaid recharge plans to give tough competition to rivals Bharti Airtel and Vodafone India. Consequently, both Airtel and Vodafone have revamped their prepaid recharge plans to offer data at competitive prices. Reliance Jio is offering 1.5GB or gigabytes of data per day in Rs 149, Rs 349, Rs 399 and Rs 449 prepaid recharge plans. Airtel has plans priced at Rs 199, Rs 448 and Rs 509, each of which offers 1.4GB data per day.Vodafone's Rs 198, Rs 199, Rs 458 and Rs 509 prepaid recharge plans also offer 1.4GB data per day. Validity periods of all these prepaid recharge plans vary. Jio's 149 plan offers 1.5 GB high-speed data per day, according to Jio's website jio.com. The total data offered in this Jio 149 pack is 42GB. After consumption of the daily data limit, internet speed gets reduced to 64Kbps. Voice calls are unlimited and 100 SMS (short message service) are offered every day. The plan is valid for 28 days. 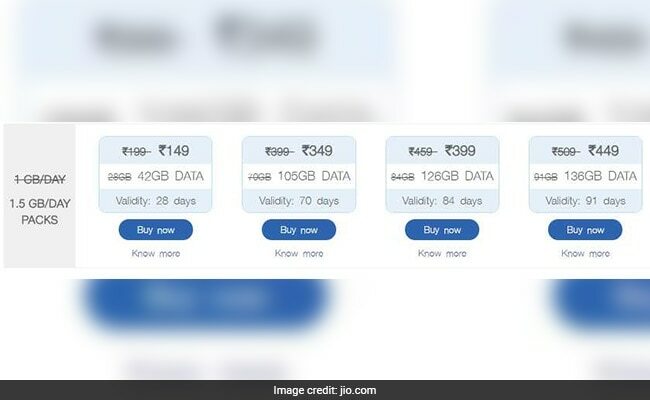 This Jio Rs 349 plan offers 1.5GB data per day, after which internet speed gets reduced to 64 Kbps. The total data offered in this pack is 105 GB. Voice calls are unlimited and 100 SMS are offered every day. The plan is valid for 70 days. One gets 1.5GB data per day with this plan and a total data of 126GB. After consumption of the daily data limit, internet speed gets reduced to 64Kbps. Voice calls are unlimited and 100 SMS are offered every day. The pack is valid for 84 days. The total data offered in this Jio Rs 449 plan is 136 GB. The daily high-speed data limit is 1.5 GB after which it gets reduced to 64 Kbps. Voice calls are unlimited and 100 SMS are offered every day. 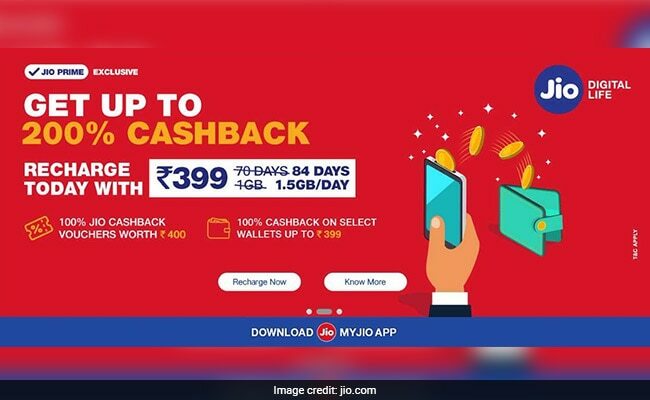 The Jio Rs 449 plan is valid for 91 days. This Airtel Rs 199 prepaid recharge plan offers 1.4 GB data per day. Local and STD calls and incoming and outgoing on roaming are unlimited. A total of 100 SMS per day are free. This Airtel plan is valid for 28 days. This Airtel Rs 448 prepaid recharge plan offers 1.4GB data per day. Local and STD calls and incoming and outgoing on roaming are unlimited. A total of hundred SMS per day are free. This Airtel plan is valid for 82 days. 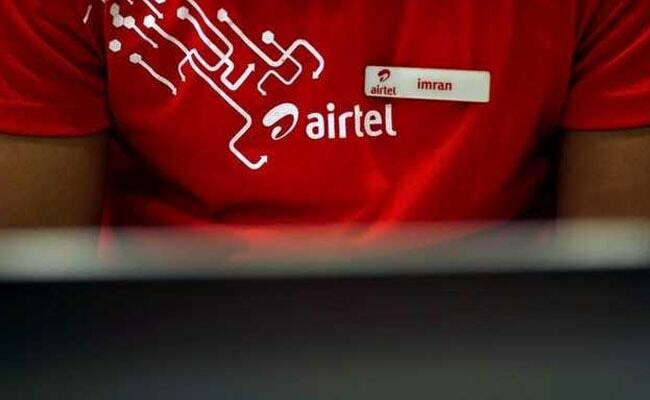 This prepaid recharge plan of Airtel offers 1.4GB data per day. Local and STD calls and incoming and outgoing on roaming are unlimited. A total of hundred SMS per day are free. This Airtel Rs 509 prepaid plan is valid for 90 days. This prepaid recharge plan of Vodafone offers 1.4GB data per day. Local, STD and roaming calls are unlimited. Hundred SMS per day are free across India. The Vodafone's Rs 198 plan is valid for 28 days. This Vodafone plan offers 1.4GB data per day. Local, STD and roaming calls are unlimited. Hundred SMS per day are free across India. The plan is valid for 28 days. This prepaid recharge plan of Vodafone priced at Rs 458 offers 1.4GB data per day. Local, STD and roaming calls are unlimited. Hundred SMS per day are free across India. The plan is valid for 84 days. This prepaid recharge plan of Vodafone priced at Rs 509 offers 1.4GB data per day. Local, STD and roaming calls are unlimited. Hundred SMS per day are free across India. The plan is valid for 90 days.